Democrats in the liberal media attacked Patricia Smith, the grieving mother of the Benghazi victim, after she made her powerful speech at the Republican National Convention. To watch Patricia Smith’s powerful speech, click here. For an example of the disgraceful attack on Patricia Smith, see the article: “A tale of two grieving parents” by Steve Benen posted on the MSNBC website. 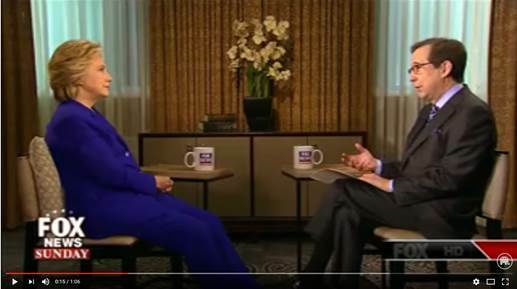 Even more egregious, Hillary Clinton called Smith a liar during a Democratic Party debate on March 9, 2016, then double down on that disgusting attack during an interview on July 31, 2016 on FOX News. Articles about the attacks on Smith by the liberal media and Clinton are shown below. Further below is an article by Allen West which demonstrates that Khizr Khan’s speech during the Democratic Party Convention assailing Donald Trump was unfair and unjustified, since Trump had nothing to do with the death of Khan's son in Iraq and had never said one word about Khan's son prior to the Democratic Party's Convention. Donald Trump is embroiled in another media controversy, this time over his reaction when asked about the emotional speech at the Democratic National Convention by the bereaved parents of Capt. Humayun Khan, an immigrant soldier who died in Iraq in 2004. As noted on Breitbart News, Kahn’s speech was a powerful rebuke, though factually incorrect: the Constitution does not bar religious tests for immigrants, for example. Now the media has dutifully weaponized the speech to attack Trump. 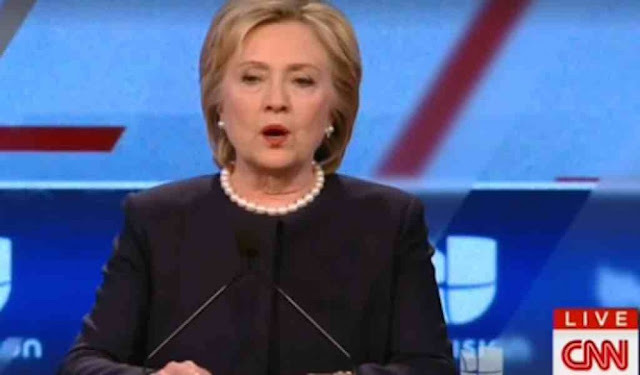 During Wednesday night’s democratic debate, Hillary Clinton said the mother of a Benghazi victim lied. Patricia Smith, the mother of Sean Smith, one of the four Americans who were killed by terrorists in an attack on the U.S. consulate in Benghazi during Clinton’s tenure, said in a CNN interview last October that Clinton lied to her about the circumstances surrounding her son’s death. Instead of stating that her son’s death had been caused by an act of terrorism, Clinton blamed an inflammatory video that had been circulating online in the weeks leading up to the attack — a narrative she knew at the time to be false. During Clinton’s tenure as secretary of State, a U.S. consulate in Benghazi was attacked on Sept. 11, 2012. In the aftermath of the attack, Clinton and other members of the Obama administration blamed the attack on an inflammatory video that had been circulating at the time. But in an email she sent to her daughter Chelsea just hours after the attack, Hillary Clinton said the terrorist attack had been carried out by an “Al Queda-like group,” implying she knew it had been premeditated terrorism. 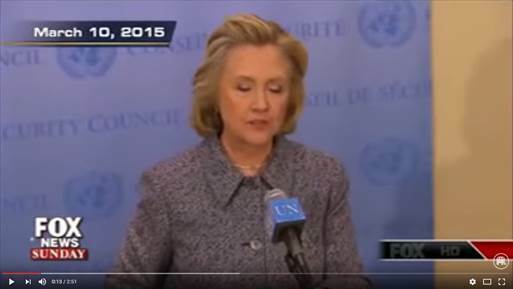 As The Federalist reported in October, Hillary’s own e-mail correspondence shows that from day one Clinton had two different stories surrounding the cause of the Benghazi attack. Under her leadership, the State Department pushed out a false, and politically advantageous, narrative to the American people blaming an Internet video, while privately acknowledging that the events in Benghazi were purely motivated by organized Islamic terrorism. "Mr. Khan, I grieve for the loss of your son. However, I grieve even more that you used his sacrifice and loss as nothing more than a politicized stunt. May God forgive you for it." 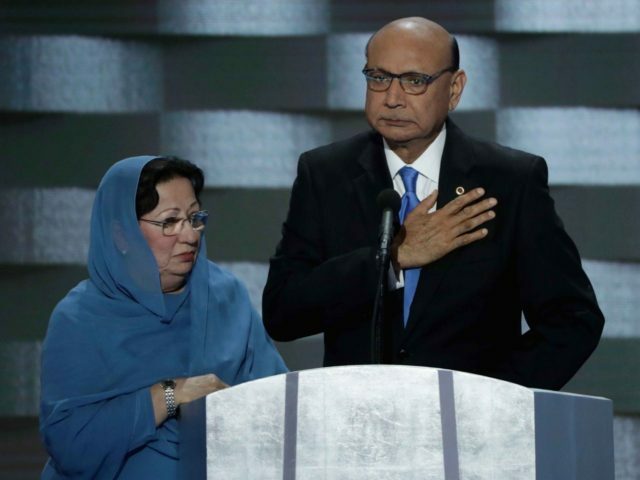 Everyone’s talking about the speech delivered by Mr. Khizr Khan, accompanied by his wife Ghazala at the DNC that focused on the loss of his son, U.S. Army Captain Humayan Khan. It appears things have devolved into such a level of immaturity relating to the speech that I believe there’s a need for a clear analysis of Mr. Khan’s address, and what he should have presented. First, let me offer my condolences to the Khan family for their sacrifice, as they are now an American Gold Star Family. Their son and I share an unbreakable bond. We both served our nation and, along with three other generations in my family, took the oath to support and defend our Constitution and served in combat zones. Yes sir, Mr. Khan, I’ve read our Constitution and firmly recognize the preeminent responsibility of our federal government is to “provide for the common defense.” I also comprehend the relationship between the three branches of government…you know separation of powers, checks and balances, coequal branches of government. I would offer a simple recommendation to Mr. Khan. Perhaps you should have asked President Barack Obama if he had read the Constitution — undoubtedly you would agree we have witnessed a few unconstitutional actions from him. And while you were at it, Mr. Khan, perhaps you could have asked Hillary Clinton about handling classified information — since I’m quite sure your son, Captain Khan, had at a minimum a secret clearance. I don’t think your son would have been able to, well, have his “careless” mishandling of classified materials and information simply excused. Perhaps Mr. Khan, you could have addressed the necessity for high standards of honor, integrity, and character in a commander in chief. Also, I found it interesting Mr. Khan, that you and your wife, an American Gold Star family, would take the stage to support a sitting president and one desiring to be president, who had abandoned Americans in a combat zone and lied about it. I tend to believe that if alive, your son would consider that type of behavior abhorrent and deplorable. Or perhaps, as it seems, your speech was politically driven, and not based on principle? After all, you did take the stage before a crowd that disrespected a Medal of Honor recipient…is that cool with you? You see, I understand, Mr. Khan, that your son and your family are Muslim and Muslims do indeed serve in our armed forces. But in the military I know, we do not celebrate that which divides, but rather that which unites. And what is it that unites us as Soldiers, Sailors, Airmen, and Marines? It is service above self, commitment to something greater than the individual, and sacrifice for our country and comrades in arms. Now, let’s be honest Mr. Khan, those of us with knowledge could just as easily bring attention to SGT Hasan Karim Akbar and Major Nidal Hasan, both Muslims serving in the U.S. Army. Just as you celebrated your Muslim son’s sacrifice, there are others who could give testimony to their loss due to those Muslim soldiers — and I use lower case reference to them (soldiers) because they dishonored the oath and were traitors to our Code of Honor. Your son was not, but that had nothing to do with him being a Muslim: he was an American Soldier. 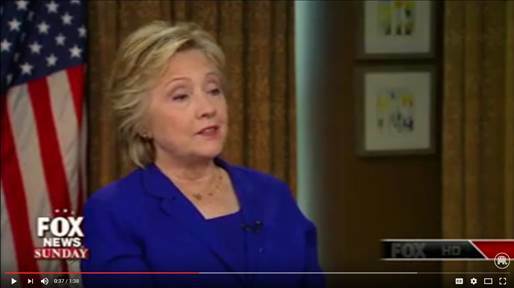 On Fox News Sunday, Hillary Clinton used her first post-convention interview to reinforce the major weaknesses of her candidacy. In an election where voters want change, she’s offering a continuation of the failed status quo and that she is willing to do or say anything – no matter how dishonest – to get elected. Following Friday’s dismal GDP report, Clinton was confronted by her lack of fresh economic proposals, and when pressed on the scandals surrounding her secret email server and conflicts of interest at the Clinton Foundation, all she offered were the same dishonest talking points. It’s one thing for a guy like me or Glenn or Don Surber or Even Rush Limbaugh to tell Democrats that they are in trouble it’s another thing to be told this by Nate silver the day after the Democrat convention and a week of the MSM lionizing all they did and said. If you thought you saw some low tactics before, given the combination of Clinton & Obama Panic, you ain’t seen nothing yet. How Donald Trump handles his campaign will make all the difference. She’ll try to disqualify Trump because she loses if the election is a referendum on her. Conventions are useful for clarifying elections, and this week’s Philly confab notably so. A week of speakers—Democrat after Democrat beseeching the nation to please know that Hillary Clinton really is a good gal—has made something clear: This is, essentially, a one-person presidential race. It’s Hillary against Hillary. This November is about whether Americans can look at 40 years of Clinton chicanery and nearly a decade of broken Obama promises, and still pull the lever for her. Not that Donald Trump doesn’t matter. He does, in that he can help sharpen those concerns. But Hillary is the main event. The polls bear this out. Aside from his recent convention bump, Mr. Trump’s numbers have been largely consistent. Whether he leads or trails, and by how much, is mostly a function of voters’ shifting views on Mrs. Clinton. Lately her poll numbers have been devastating. A CNN survey this week showed 68% of voters say she isn’t honest and trustworthy—an all-time high. CBS found virtually the same number: 67%. In the CNN poll, meanwhile, only 39% of voters said they held a favorable view of Mrs. Clinton. This is lower than any time CNN has polled Hillary since the spring of 1992—before she was first lady. Mr. Trump’s poll numbers also bear this out. He is currently leading in the Real Clear Politics average despite no real ground game, little real fundraising, little policy message, a divided conservative electorate, and one of the messiest conventions on record. As of June 30, Mrs. Clinton and her allies had raised a stunning $600 million, which is already being spent to trash Mr. Trump. Yet to little or no effect. Mr. Trump is hardly a potted plant, but even if he were . . .
Mrs. Clinton’s problem is Mrs. Clinton. She is running against her own ethical morass. Already she was asking voters to forget about cattle futures and fake sniper fire and Whitewater and Travelgate. Then she chose to vividly revive the public nausea with her self-serving email stunt and her Clinton Foundation money grubbing. Oh, she tried to roll out the usual Clinton defense: that this was just part of a renewed attack by political enemies. Yet the neutral inspector general of the State Department slammed her handling of official email; the FBI director (who works for Barack Obama) attested that she was careless with classified information; and she was caught on tape telling a series of lies about the situation. All of which makes it tough to blame the vast right-wing conspiracy. Tim Kaine’s many assurances that he “trusts” Mrs. Clinton was the campaign’s public acknowledgment that almost no one else in the nation does. Hillary is running, too, against the reality of President Obama policies, which she promises not only to continue, but to build on. The president’s glowing appraisal Wednesday night of his time in office bore no relation to the country most Americans see—one in which health care costs more than ever, they struggle to pay the bills, and terror attacks on Western democracies are a weekly event. The state of the country might not be quite so grim as Mr. Trump painted it in Cleveland, but the mood is much closer to that grimness than to Mr. Obama’s forced optimism. The president’s policies, which Mrs. Clinton now owns, have alienated significant tranches of voters that she needs this fall—in particular blue-collar Democrats. Coal communities are rejecting Hillary outright. Many union workers are too, whether they be Teamsters for Trump, or police officers appalled by the Democratic Party’s attacks on their profession. Mrs. Clinton is trying to win back that blue-collar support by moving sharply on issues like free trade, but she’ll be hard pressed to out-populist Mr. Trump on that score. Whatever Bill says, Americans do not look at Hillary and see “change”—at least not the kind of change they are after. Hillary is also running against her own party, which has moved left without her. She has chased after progressives, adopting one position after another from Bernie Sanders, feting Elizabeth Warren, working “progressive” into every sentence. But this week showed that her party’s liberal wing is unconvinced, still feeling the Bern. Yes, she has done some uniting in Philly, and will likely get her own bump. At the same time, 45% of Democrats who voted in the primary told that CNN pollster they still wish Sanders were the nominee. Mrs. Clinton will continue to warn that her opponent is a threat, to try to worry voters enough that they overcome their misgivings about her. Mr. Trump can certainly make that job easier for her. Conversely, he can help his own numbers and campaign by focusing precisely on her vulnerabilities, and by presenting a stronger policy agenda of his own. Mrs. Clinton is ultimately banking that a significant number of Americans won’t be able to vote for Mr. Trump. Certainly some won’t. But a dislike of Mr. Trump does not imply a like of Mrs. Clinton—and certainly not a vote for Mrs. Clinton. 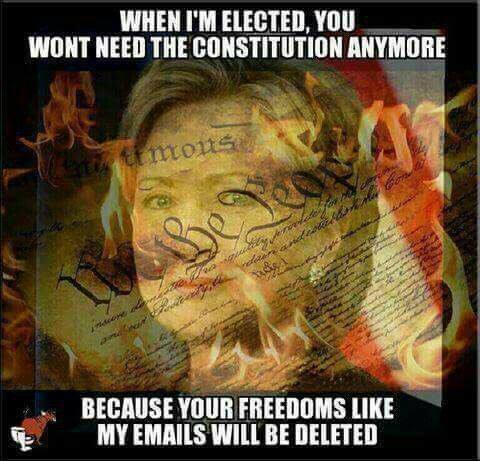 Elect her because she wants to be elected. ‘The best darn change-maker I ever met in my entire life.” So said Bill Clinton in making the case for his wife at the Democratic National Convention. Considering that Bernie Sanders ran as the author of a political revolution and Donald Trump as the man who would “kick over the table” (to quote Newt Gingrich) in Washington, “change-maker” does not exactly make the heart race. Which is the fundamental problem with the Clinton campaign. What precisely is it about? Why is she running in the first place? Like most dynastic candidates (most famously Ted Kennedy in 1979), she really doesn’t know. She seeks the office because, well, it’s the next — the final — step on the ladder. Her campaign’s premise is that we’re doing okay, but we can do better. There are holes to patch in the nanny-state safety net. She’s the one to do it. It amounts to Sanders lite. Or the short-lived Bush slogan: “Jeb can fix it.” We know where that went. The one man who could have given the pudding a theme, who could have created a plausible Hillaryism was Bill Clinton. Rather than do that — the way in Cleveland Gingrich shaped Trump’s various barstool eruptions into a semi-coherent program of national populism — Bill gave a long chronological account of a passionate liberal’s social activism. It was an attempt, I suppose, to humanize her. Well, yes. Perhaps, after all, somewhere in there is a real person. But what a waste of Bill’s talents. It wasn’t exactly Clint Eastwood speaking to an empty chair, but at the end you had to ask: Is that all there is? He grandly concluded with this: “The reason you should elect her is that in the greatest country on earth we have always been about tomorrow.” Is there a rhetorical device more banal? Trump’s acceptance speech was roundly criticized for offering a dark, dystopian vision of America. For all of its exaggeration, however, it reflected well the view from Fishtown, the fictional white working-class town created statistically by social scientist Charles Murray in his 2012 study Coming Apart. It chronicled the economic, social, and spiritual disintegration of those left behind by globalization and economic transformation. Trump’s capture of the resultant feelings of anxiety and abandonment explains why he enjoys an astonishing 39-point advantage over Clinton among whites without a college degree. His solution is to beat up on foreigners for “stealing” our jobs. But while trade is a factor in the loss of manufacturing jobs, even more important, by a large margin, is the emergence of an information economy in which education, knowledge, and various kinds of literacy are the coin of the realm. For all the factory jobs lost to Third World competitors, far more are lost to robots. Hard to run against higher productivity. Easier to run against cunning foreigners. In either case, Clinton has found no counter. If she has a theme, it’s about expanding opportunity, shattering ceilings. But the universe of discriminated-against minorities — so vast 50 years ago — is rapidly shrinking. When the burning civil-rights issue of the day is bathroom choice for the transgendered, a flummoxed Fishtown understandably asks, “What about us?” Telling coal miners she was going to close their mines and kill their jobs only reinforced white working-class alienation from Clinton. As for the chaos abroad, the Democrats are in see-no-evil denial. The first night in Philadelphia, there were 61 speeches. Not one mentioned the Islamic State or even terrorism. Later references were few, far between, and highly defensive. After all, what can the Democrats say? Clinton’s calling card is experience. Yet as secretary of state she left a trail of policy failures from Libya to Syria, from the Russian reset to the Iraqi withdrawal to the rise of the Islamic State. Clinton had a strong second half of the convention as the Sanders revolt faded and as President Obama endorsed her with one of the finer speeches of his career. Yet Trump’s convention bounce of up to 10 points has given him a slight lead in the polls. She badly needs one of her own. She still enjoys the Democrats’ built-in Electoral College advantage. But she remains highly vulnerable to both outside events and internal revelations. Another major terror attack, another e-mail drop — and everything changes. 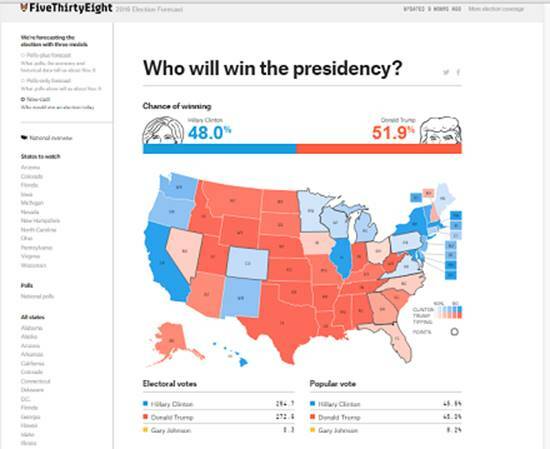 In this crazy election year, there are no straight-line projections. As Clinton leaves Philadelphia, her lifelong drive for the ultimate prize is perilously close to a coin flip. 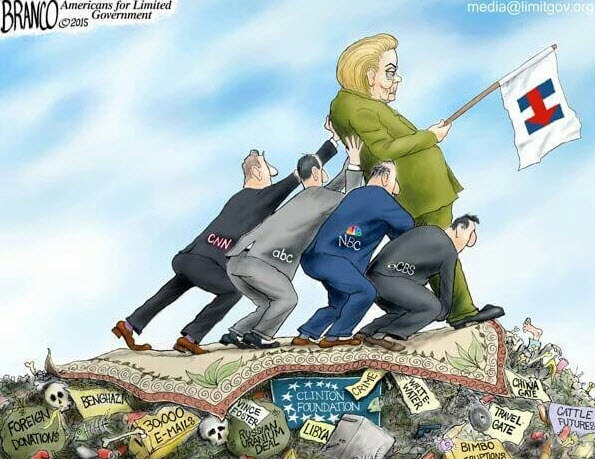 In his emotional speech Wednesday, President Obama promised that “we’re going to carry Hillary to victory.” To judge from Clinton’s performance last night, being carried by the party is the only way she’s going to get there. Instead of giving the speech of her life on the biggest night of her life, Clinton delivered an uninspired and uninspiring wish list of all the things she and other Democrats would get Washington to do. Big things, little things, everything. Her core principle, if it can be called a principle, is that government is here to take charge, making her theme of “stronger together” suddenly seem like a warning that her main goal is building an all-consuming federal bureaucracy. On top of earlier vows to issue even more executive orders than Obama, she promises a more powerful, more intrusive government across the board, with no problem too big or too small for its focus. All that “compassion” would be expensive, meaning higher taxes and more national debt. Individual initiative apparently would no longer be necessary or admirable. Clinton’s vision for America is for a Golden Age of Big Government. The result is that instead of redefining herself in new and appealing way, she revealed herself to be much as we already knew her — as somebody who sees no limits to the role of the federal government. Though she cited the founders several times, she takes a far different view of America, and of the Constitution and declaration they wrote. As the first woman to win the presidential nomination of a major party, Clinton’s acceptance speech was a historic event in itself, and the delegates celebrated with her at several moving moments. Her main goals, in addition to bashing, ridiculing and mocking Donald Trump, were to reveal a soft side and a tough one, as someone who can deliver paid family leave and destroy Islamic State. She also tried to paint herself as the one candidate who can unite America. Great goals for sure, but there are two major contradictions at the heart of the effort. The first is the false claim that Clinton represents both the change the nation wants and the third term of Barack Obama. She can’t be both, yet she pretended she could be. The second claim is that she can unite a divided country. 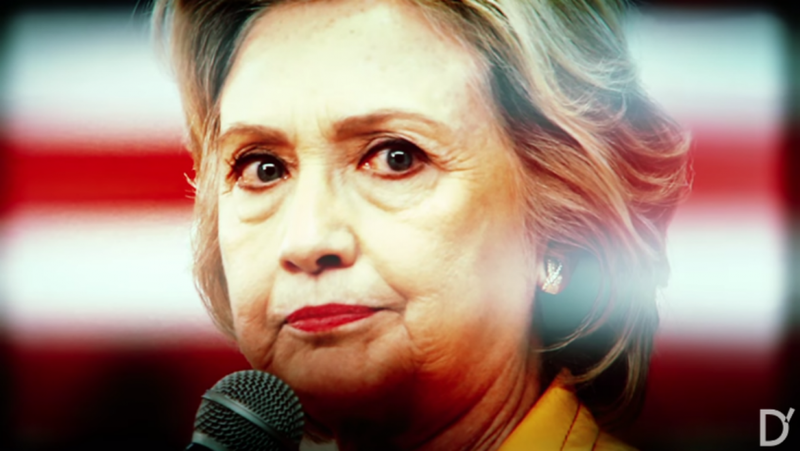 Her history is exactly the opposite, and the polls showing that nearly 70 percent of Americans find her dishonest and untrustworthy mean it would take a near miracle for her build a national consensus on anything of significance. Her performance fulfilled the party’s fear that she would be overshadowed by a roster of political heavyweights at her own convention and waste an opportunity to reinvent herself. Without doubt, the fourth and final night of the convention was a letdown. The result is that Clinton is not so much leading the Democratic Party as the beneficiary of its sprawling political cultural, and racial strength. Resembling a European-style parliamentary leader, she is running like she wants to be a prime minister selected by her party instead of an American president elected by voters. That sets up another risky contrast with Trump. He is a great disrupter, leading the Republican Party he took over, and is appealing directly to voters to give him a personal mandate. At a time when most of the nation is demanding strong leadership, Trump is in a position to seize a big advantage. His recent lead in most national polls and the dead heat in key swing states are largely a testament to his brawling, street-fighter style. Clinton’s advantages — superior knowledge of complex issues and extensive government experience — are more difficult to exploit in a change election. Even the main thrust of the Dem assault on Trump, that he is reckless and dangerous, while she is steady and responsible, makes a vote for her sound like a vote for the status quo. And, as we learned this week, she is kind, generous and warm, a great friend, a greater mother and the greatest grandmother. The effort to paint Clinton as both human and superhuman, ordinary and extraordinary, faces its own inherent problems. For one thing, the softness of the image created didn’t so much humanize her as womanize her. Was there any doubt? For another, the over-the-top descriptions were silly exaggerations, which is a very odd way to get people to trust someone they consider a liar — by telling more lies about them. The bid reached its apex, or nadir, during Chelsea Clinton’s cloying introduction of her mother. Given mostly in a hushed, reverential tone, it could have been designed to keep Bernie Sanders’ noisy brigade quiet. Or maybe it wanted to put them to sleep. WHY ARE DEMOCRAT-RUN CITIES SUCH CESSPITS OF SOUL-CRUSHING POVERTY? A few blocks from the DNC, tales from the city with the highest poverty rate among major U.S. cities. 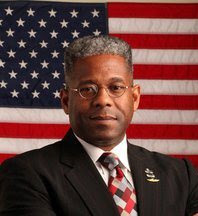 Click here to see The Black-O-Scope videos about how Democrats cause great harm to black Americans. 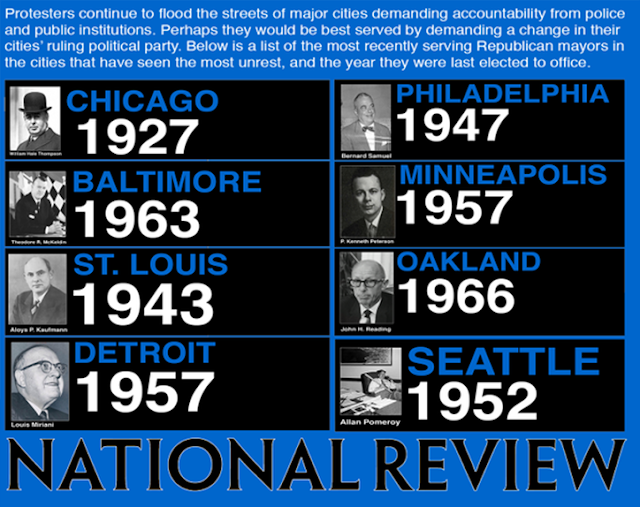 Reminder: Philadelphia’s last Republican mayor left off at the beginning of 1952. Voters want change, and nobody in Philly has credibly argued Clinton can deliver. Though the slogan for the first day of the Democratic National Convention was “United Together,” the party appeared to be anything but. Hacked emails dumped online by WikiLeaks had confirmed the worst suspicions of Sen. Bernie Sanders’s supporters. The Democratic establishment had been working all along to defeat their man, even discussing whether to plant stories that Mr. Sanders, who is Jewish, doesn’t believe in God. After Democratic National Committee Chairwoman Debbie Wasserman Schultz announced her resignation, she was rewarded by being named an “honorary chair” for Hillary Clinton’s campaign. Sanders supporters were hardly satisfied. On Monday the Bernie Bunch booed Ms. Wasserman Schultz off the stage. They demonstrated their frustration in the convention hall, and on Philadelphia’s streets, demanding votes on their candidate’s proposals on trade and the party’s rules. The following day the comedian Sarah Silverman admonished Sandernistas from the podium: “To the Bernie-or-bust people, let me tell you, you are being ridiculous.” Standing at her side, Sen. Al Franken (D., Minn.) nodded as Sanders delegates screamed their disapproval. The two Hollywood intellectuals were followed on stage by Paul Simon, who warbled “Bridge Over Troubled Waters.” Convention organizers should have tried to get the song’s original vocalist, Art Garfunkel. These expressions of disaffection from the Democratic Party’s Birkenstock-and-granola wing are entertaining, yet they are not Team Clinton’s principal strategic challenge. Sure, some Bernieites could defect to the Green Party’s presidential nominee, Jill Stein, or even to Donald Trump. Others might skip the polls and spend Election Day composting. Still, Mrs. Clinton’s bigger problem is that she personifies the status quo in a year when the dynamic is strongly tilted toward change. Gallup reported last week that only 17% of Americans are satisfied with the country’s condition, the same figure as at this point in 2008. A June 26 Pew Research Center survey found that 24% of Americans are “satisfied with the way things are going in this country today”; 71% are “dissatisfied.” Fully 77% of voters say Mr. Trump would “change the way things work in Washington” (though only 33% think it would be for the better). Just 45% say Mrs. Clinton would bring change (and 20% say it would be for the better). President Bill Clinton’s speech Tuesday night didn’t significantly alter this dynamic. Even his political talents couldn’t transform his wife into a “change-agent,” a phrase he repeatedly invoked. If anything, Mr. Clinton reminded voters that Mrs. Clinton has been a political fixture for decades. Nor did Mr. Clinton do any favors when he described Hillary’s tenure as secretary of state and asked: “How does this square with the things that you heard at the Republican convention?” He said Republicans are running against “a cartoon,” thereby dismissing concerns about private email servers, America’s retreat from global leadership, the rise of Islamic State, and the disasters in Libya, Syria, Iraq, Egypt, Russia and beyond. Speeches Wednesday by President Obama and Vice President Joe Biden were equally unlikely to help Mrs. Clinton. Instead they added to the impression that she represents a third term for their policies, especially as far as they extolled their administration’s record. The more they claim the economy is good, the country strong, and the world safe, the more disconnected they appear to swing voters. The White House is telling reporters the president will actively campaign for Mrs. Clinton and Democratic candidates, raising funds starting next week and traveling throughout October. This will only reinforce that the race is a choice between the status quo with Mrs. Clinton and change with Mr. Trump. Team Clinton’s hope lies in convincing voters that Mr. Trump will bring only chaos. That’s where she should put her emphasis Thursday night and after. The Democratic convention started badly. It’s likely to end that way, too—with the election’s central dynamic, one that works against their nominee, completely intact. Mr. Rove helped organize the political-action committee American Crossroads and is the author of “The Triumph of William McKinley” (Simon & Schuster, 2015). Unlike Hillary, Mr. Trump doesn’t know Obama-speak and doesn’t need deprogramming. A lot can still happen at the Democratic convention, but nothing is likely to matter as much as Hillary Clinton’s look and tone, what she says—or perhaps more important—what she doesn’t say as she takes the stage Thursday night. Donald Trump, a man of iron predictability, faced no such test last week and delivered no surprises. Not that there weren’t some striking moments in the glum enterprise that concluded in Cleveland, among them Melania Trump’s quickly famous speech. Also the contribution of Chris Christie, who functions periodically as the governor of New Jersey. Mr. Christie used his speaker’s spot to conduct a lengthy mock trial of Mrs. Clinton distinguished mainly for its unremitting tone of hysteria. It was a spectacle many Americans may remember should Mr. Christie become, as he apparently hopes, attorney general under Mr. Trump. The Republican presidential candidate has one obvious advantage over Mrs. Clinton: He has never been in a position to absorb, as she has, the language, reflexes, certitudes, and high principles ready to be deployed on all occasions that are peculiar to the world of the Obama administration. Not that Mr. Trump isn’t capable of embracing certain of the president’s views on America, first revealed in 2009 during Mr. Obama’s now-famous trip abroad to see heads of state and express regret for America’s offenses, known to history as the Obama apology tour. Those views of America as a nation in decline, virtually without allies, emerged ever more conspicuously during the president’s first term. Last week Mr. Trump lashed out at NATO, then went on to argue that the U.S. shouldn’t be interfering in the business of other nations. And that we had so many failures of our own at home: Ferguson, the killing of police—so much. Who are we to tell the butchers and mass murderers of the world what to do? Unlike Mrs. Clinton, Mr. Trump doesn’t know Obama-speak and doesn’t need deprogramming. He hasn’t absorbed the language that Americans recognize well after eight years. They have heard through all these years the nostrums, the reflexive high-minded oratory, that have come with every terror attack. They can hear it all over again in Mrs. Clinton. Never was this clearer than in the days following the terrorist assault in Nice, when she described the attack as cowardly and vowed that we would never allow terrorists to undermine our egalitarian and democratic values. Such assertions always feel, and are, strangely off the point, which is the horror of the atrocity that has taken place. The notion that terrorists are busying themselves trying to undermine our egalitarian values is odd, especially in light of the obvious fact that what they are trying first and foremost to do is kill us. Mrs. Clinton, like Mr. Obama, seems to have divined the wishes of our enemies. Not only do they want to undermine our democratic values, they would, as she recently said of Islamic State, “love for us to be dragged into a ground war”—a perception highly appealing to a political administration now scarcely able to conceive of a circumstance dire enough to warrant American ground troops. Mr. Trump addressed the cruel slaughter in Nice but had no more hard specifics to offer about what might be done than Mrs. Clinton did. He nevertheless managed a tone far more effective in its outrage—the voice of a leader in time of war. It helped, no doubt, that he felt no need to deliver warnings about the undermining of our democratic values. In July alone, eight police officers were killed in high-profile shootings—five in Dallas during a Black Lives Matter protest and three more 10 days later in Baton Rouge. The day after the latter killings, as stunned citizens grieved—black Americans included, especially those who had seen in Dallas how the police officers had rushed to protect them from sniper fire without regard to their own safety—Hillary Clinton addressed a convention of the NAACP. She began with a stern, clearly heartfelt, denunciation of the killing of police, then proceeded to her main focus—namely, a recital of the innumerable injustices visited on black Americans by the police. It did not apparently occur to her that it might be possible to mention to the NAACP the injustice, the fatal consequences, of the war that had been whipped up against police by activists portraying them as oppressors and murderers. The planners of the Democratic convention included on their list of honored speakers a group of mothers—known as Mothers of The Movement—most of whose children died at the hands of the police. There was no opportunity, however, for a speech by any of the wives or parents of the slain police officers. The enraged officers of Philadelphia’s police union promised not to forget this slap in the face by the Democrats. Mrs. Clinton and company had evidently failed to grasp that following the dictates of political expediency, otherwise known as pandering, would in the end be more costly than doing what was right and just. To win the election Mrs. Clinton will have to sway voters from across the political spectrum. True, huge portions of the electorate are appalled by the prospect of her opponent winning the presidency, which is to her advantage. But huge numbers of Americans are no less appalled by the possibility of a Clinton presidency that would in effect be another Obama term. All of which is the reason Mrs. Clinton will have to do her utmost to find a voice of her own. She may well find one and perhaps even something of a political backbone. Enough, at least, to ensure that she resists pressures to move even further left than she already has to win supporters from Bernie Sanders’s sullen troops now brooding over their lost revolution. It will be an effort and not easy but it should hardly be too much for the candidate who may become the first woman elected president of the United States. No one in Philadelphia wants to talk about the Clinton Foundation. Bill Clinton on Tuesday portrayed his wife as a “change maker” whose life has overflowed with good intentions and commitment to others. No one can spin a yarn like Bill, and for the believers it was a touching portrait. But if it’s true, why do the polls show that 68% of Americans don’t trust Hillary Clinton? That has to do with the rest of the story, which is how the Clintons have used politics to enrich themselves and retain power. No doubt the foundation does some charitable good, but this is incidental to its main purpose of promoting the Clinton political brand. Since its creation in 1997, the nominal nonprofit has served as a shadow Super Pac, designed to keep the Clintons in the national headlines, cover their travel expenses, and keep their retinue employed between elections. The payroll has included Huma Abedin, who drew a State Department salary even as she managed politics at the foundation and is now vice-chairwoman of the Clinton campaign. Dennis Cheng raised money for Mrs. Clinton’s 2008 bid, then became the foundation’s chief development officer and now leads Mrs. Clinton’s 2016 fundraising. Cheryl Mills, Hillary’s chief of staff at State, sat on the foundation board. And don’t forget Sid Blumenthal, the longtime Clinton Svengali who was secretly advising Mrs. Clinton at State while drawing a foundation salary. This may not be illegal but the charity here is for the Clintons’ benefit. The funding for this political operation has come from nearly every country and major company in the world. These contributors have the cover of giving to charity, when everybody knows the gifts are political tribute to a woman determined to be President. Donations to a charity aren’t governed by the same caps or restrictions as those that go to a traditional Super Pac. Bernie Sanders and Elizabeth Warren somehow overlooked this in their Monday night riffs against money in politics. Witness the charitably minded donors from Algeria, Kuwait, Qatar and Saudi Arabia. The Swiss bank UBS gave more than $500,000 to the foundation after Secretary Clinton solved its IRS problem. Canadian mining magnate Ian Telfer used a family charity to donate millions to the foundation at the same time a Cabinet committee on which Mrs. Clinton sat was reviewing (and ultimately greenlighted) a Russian mining deal involving his company. According to the Washington Post, Bill Clinton received $105 million for 542 speeches between January 2001 (when he left the White House) and January 2013 (when Hillary stepped down from State), often from companies and countries with business before State. The foundation also rewards Clinton friends and political allies. This newspaper reported in May that the Clinton Global Initiative (a foundation program) directed a financial commitment to a company, Energy Pioneer Solutions, part-owned by Clinton friends. In 2010 Canadian tycoon Frank Giustra, a foundation donor, won the right to cut timber in Colombia, not long after the Clintons met with Colombia’s president. Keep in mind that the Clintons did all this after their ethical travails of the 1990s and knowing Mrs. Clinton would run for President again. It’s as if the lesson they learned from the 1990s isn’t that they should cut fewer corners but that they can get away with anything. And maybe they can. Wonder Land Columnist Dan Henninger on the former president’s speech at the Democratic Party convention. Obama on Crime: Tear Down This Wall!